Kalimpong is a popular city of North Bengal. A part of the Darjeeling district, the city is situated on the border of the Teesta River. The splendid view of Teesta River will guide you throughout your way to Kalimpong. Perfect for a short trip with family. Here is the brief description of the place. 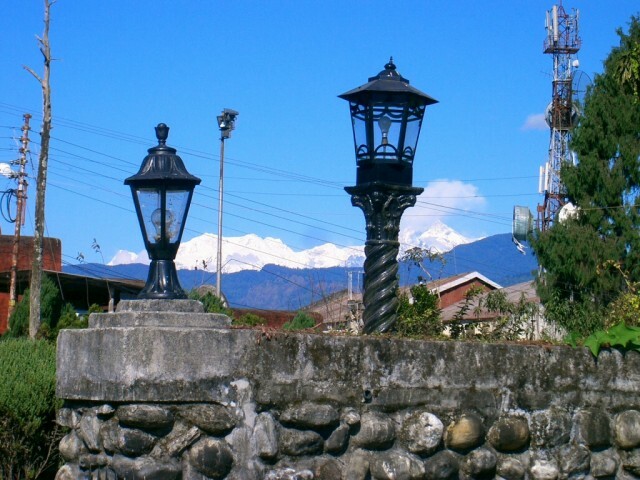 Kalimpong is one of the gateways to Sikkim. Travellers most of the time take a halt in Kalimpong while going to Sikkim. You can also explore the whole Darjeeling on the same trip or just unwind in the beautiful Kalimpong. The continuous arrival of tourists to this region made Kalimpong a very popular tourist destination. An easily accessible hill station to the state dwellers, it is one of the favoured weekend destinations. The hotels in Kalimpong provide a splendid view of Kanchenjunga from Kalimpong which is mesmerizing. Situated at an altitude of 1,250 metres, it is the gateway of trading between India and Tibet. Most of the dwellers are Nepalese and Bhutanese and the region is home to other ethnic groups. However, now you will witness people immigrated from other parts of the country and residing here for work purpose. Filled with different cultures, Kalimpong is a vibrant city with dazzling marketplaces, ancient monasteries and beautiful landscape. The region was once under the rule of Bhutanese Kings and later the British took over the place. You will witness different structures and important educational institutions dating back to the British era. The awesome nurseries with rich collections of floras like orchids, tubers, etc. will refresh your mood. Being a religious centre of Buddhists, the renowned Zang Dhok Palri Phodang beholds some rare Tibetan Buddhist scriptures. From past few years Kalimpong and some parts of Darjeeling are claiming for a different state for them, Gorkhaland state, but still they are the part of West Bengal. The Darjeeling state is one of the major tourist spots of West Bengal. Bestowed with natural beauty, this busy town of the Darjeeling district offers a breathtaking view of the Himalayan mountains. The beautiful greenery capped or snow-capped mountains during winters on the backdrop of the city make it a picture perfect place. Words are not enough to describe the charm of this city. A great place for the nature and adventure lovers, Samco ropeway can be a unique and memorable things to do. Located over Teesta and Relli river, the ropeway’s concept was introduced by Christian missionaries for helping the Lepcha people. Dr. Graham’s House, Durpin Dara, Singsshore Bridge, Thongs Gumpa, Deola Hill, etc. are some prominent attractions of the place. Reaching Kalimpong is not a hectic task as Bagdogra is the nearest airport which is about 72 km away and New Jalpaiguri is the nearest rail head. From both airport and railway station, you will get taxis and cabs which will take you to your desired destination. As it is a popular tourist destination, the region is full of hotels which are available throughout the year. You can pick from 5 star hotels in Kalimpong for a lavish stay. Do plan a tour this winter and enjoy every bit of the city but make sure to book your room before you reach the place. Author Bio: Sandeep is an experienced travel writer and enthusiast blogger. He has explored many known and less-known places in India in the last 10 years. His experience adds to his expert knowledge on the best hotels in Kalimpong, different travel routes through trains, flights, and road.